Las Vegas, Nevada – May 20, 2016 – The USJJO today announced that the U.S. Nationals and U.S. Open Sport Ju-Jitsu tournament will be held in Las Vegas, Nevada as part of the 5th Annual UFC International Fight Week™, which takes place from Tuesday, July 5 through Sunday, July 10. The competitions will be featured as part of the UFC Fan Expo®, held at the Las Vegas Convention Center from Friday, July 8 through Sunday, July 10. There will be three (3) different forms of ju-jitsu competition during the tournaments, for youth ages 13 years old and up, weight and experience. The foundation of Ju-Jitsu is based on one-on-one competition divided into three parts. For part one, the competitor attempts to score with various strikes, punches and kicks. Part two begins after one competitor grabs the other and they battle for a take-down to the ground. Part three involves submissions such as strangulations, holding and barring / locking of various body joints. Winners are determined based on the athlete that accumulated the most points throughout the match; however an automatic victory may occur if the competitor received “Ippon” (clean action/full points) during each portion of the contest. The Ne-Waza (Brazilian) competitions begin from a standing position and the athletes attempt to secure points with several throwing, take-down, immobilizing techniques, sweeps or submissions. The match can ultimately be won by a submission, but if a submission does not happen, the bout is won by the competitor that has accumulated the most points. The Duo System is a discipline where teams of two ju-jitsu athletes compete against each other. The teams demonstrate select self-defense maneuvers against a variety of attacks, including strangulations, hit attacks, embraces, chokeholds and weapons. The USJJO is recognized by the Ju-Jitsu International Federation (JJIF) as the National Ju-Jitsu Member of the USA and as the recognized Governing Body for Ju-Jitsu in the United States of America. USJJO members have the opportunity to take part in seminars, courses and competitive events offered by the USJJO, as well as the JJIF, and other affiliated organizations. The JJIF is the recognized Ju-Jitsu Organization for the SportAccord Combat Games, an Olympic World Event. The JJIF represents Sports Ju-Jitsu worldwide and is the only Ju-Jitsu organization recognized by the General Association of International Sports Federations (GAISF) and the International World Games Association (IWGA). The JJIF provides the opportunity for elite athletes from their National Members to compete in the World Games, which are organized and governed by the IWGA under the patronage of the International Olympic Committee (IOC). The JJIF has 106 member countries on five continents. For more information, please visit www.usjjo.org. This entry was posted in Home on May 20, 2016 by Scott. (Press Release) –April 14th, 2016 – Cleveland, Ohio, USA. 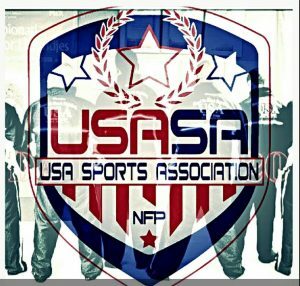 The United Society of Jujitsu Organizations (USJJO) announced today that USA Sports Association, NFP is an official USJJO Regional Training Center. USA SPORTS ASSOCIATION exists for the purpose of serving as the national governing body for select martial art sports in the United States, and creating platforms for United States athlete development. 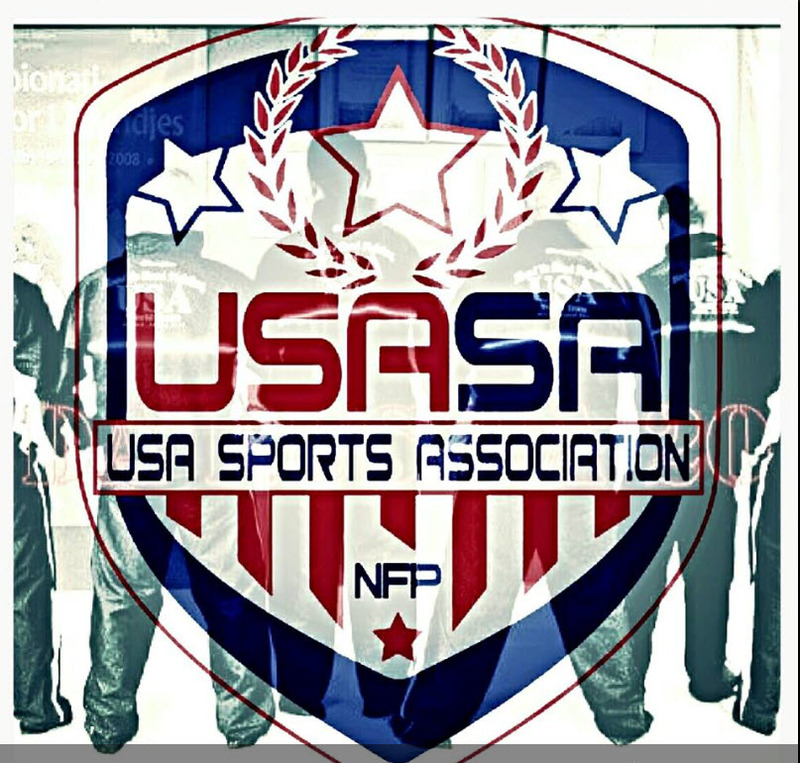 The mission of USASA is to promote the development of United States athletes to achieve sustained competitive distinction in domestic and international amateur martial arts competition, and to promote the growth of martial art sports participation in the United States. Foster national and international amateur martial arts competition. Foster domestic athlete development for participation in national and international martial arts competition. Serve as the US National Governing Body for select international martial arts sport federations. Educate community youth in life skills through martial ar ts, and provide cultural education opportunities. The USASA was started by the Hill Brothers, Prof. Ron and Prof. James Hill. The Hill Brothers have a combined almost 70 years in the martial ar ts and almost 50 years combined instruction. Together they have coach 6 USA National teams. They have been all over the world representing the USA as coaches for various martial arts and combat sports. Professors Ron and James Hill own SUDA INTERNATIONAL TRAINING CENTER and USA COMBAT GRAPPLING ALLIANCE and they promote martial arts competition across the nation and outside of the US as well. The USJJO is committed to developing both self-defense and sports ju-jitsu. Many opportunities for seminars, courses and competitive events focusing on both self-defense and sports ju-jitsu are offered by the USJJO, JJIF and affiliated members. In addition to the competitive training, some of these courses have included personal protection; weapons take away from an attacker, enhancing self-confidence in dangerous situations and course quarter combatives for your personal safety. The USJJO always encourages and welcomes requests for new seminar topics. The United Society of Jujitsu Organizations is a non-profit organization. For more information, please visit www.usjjo.org. You can contact Sarah Stanton, President, at sarah.stanton@usjjo.org or Scott Long, Secretary, at scott.long@usjjo.org. This entry was posted in Home, News on April 14, 2016 by Scott. (Press Release) – April 14th, 2016 – Cleveland, Ohio, USA. The United States Ju-Jitsu Organization (USJJO) announced today that M3 Fight is an official USJJO Regional Training Center. M3 Fight of Montrose, California has been appointed to the USA Team Development committee of the USJJO and his school has been named an official Regional Training Center. Their instructors will be developing athletes for USJJO related events held around the world, including at the UFC’s International Fight Week 2016, 2016 Pan American Championships in Panama and the 2016 JJIF World Championships in Poland. The United States Ju-Jitsu Organization is a non-profit organization. For more information, please visit www.usjjo.org. You can contact Sarah Stanton, President, at sarah.stanton@usjjo.org or Scott Long, Secretary, at scott.long@usjjo.org. For more information about M3 Fight, please visit http://m3fight.com/. (Press Release) – April 1, 2016 – Cleveland, Ohio, USA. 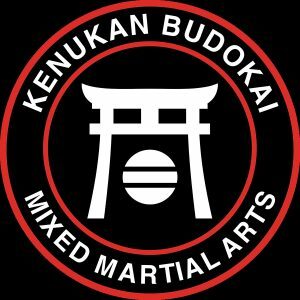 The United Society of JuJitsu Organizations (USJJO) announced today that the Kenukan Mixed Martial Arts Academy is an official USJJO Regional Training Center. 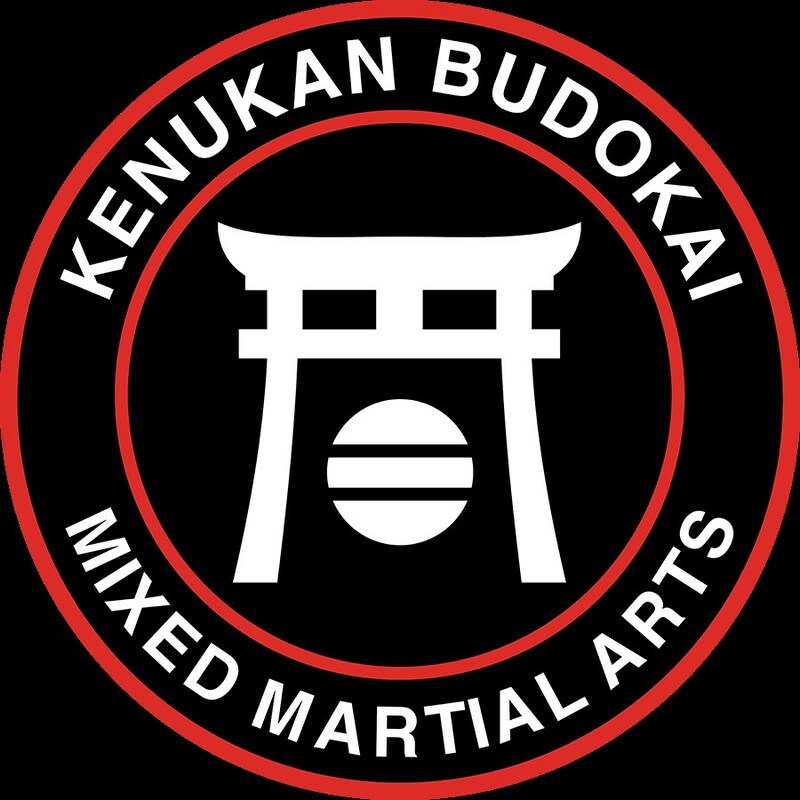 Travis Boggs, the Owner / Chief Instructor of the Kenukan Mixed Martial Arts Academy (serving the Kansas City area since 1968 – Johnson County’s oldest martial arts academy), has been a member of the USA Team Development Committee of the USJJO and now his academy has been selected as an official Regional Training Center. Travis and his instructors will be developing athletes for USJJO related events held around the world, including at the UFC’s International Fight Week 2016, 2016 Pan American Championships in Panama, and the 2016 JJIF World Championships in Poland. Travis Boggs made National Headlines several years ago when he appeared on MSNBC’s “Ashleigh Banfield Live” TV Show as a Flight Self-Defense Expert after training the two airline personnel that took down the “Shoe Bomber” Richard Reid in December of 2001. Boggs is a Certified Flight Self-Defense Instructor with the America In Defense Program, founded by Bob Wall and Chuck Norris. In 2008, Travis Boggs was named as one of his home town’s top 150 athletes during its Sesquicentennial Celebration (Olathe’s 150th year anniversary). Boggs’ highlights as a competitor were: Team USA Ju-Jitsu & Karate Goodwill Games Gold Medalist, St. Petersburg, Russia; Team USA Ju-Jitsu & Karate Mediterranean Games Gold Medalist, Athens, Greece; 5-Time Kansas AAU Karate Champion; 3-Time AAU Regional Karate Champion. Deciding to turn his focus towards coaching, Boggs was selected by the USJJO to serve as a TEAM USA Coach at the 2014 JJIF World Ju-Jitsu Championships held in Paris, France. Besides competing and coaching, Boggs is known for his instruction to Delta, Ranger, Green Beret, and Special Forces Team Members, as well as Law-Enforcement Officers. Travis Boggs was personally invited to assist world renowned self-defense expert Jim Harrison (Founder of Bushidokan and Ronin Jutsu Street Combat Systems) at the 2004 Arnold’s Health & Fitness Expo, an Arnold Schwarzenegger Event held every year in Columbus, Ohio. In 2000, Boggs Co-Directed the 1st Kansas City Grappling Symposium (featuring world rated original MMA Fighters Ken Shamrock, Bart Vale, Keith Hackney, and Walt Lysak). United Society of JuJitsu Organizations The USJJO is the National Governing Body of Ju-Jitsu in the USA and Official Full National Member to the JJIF. 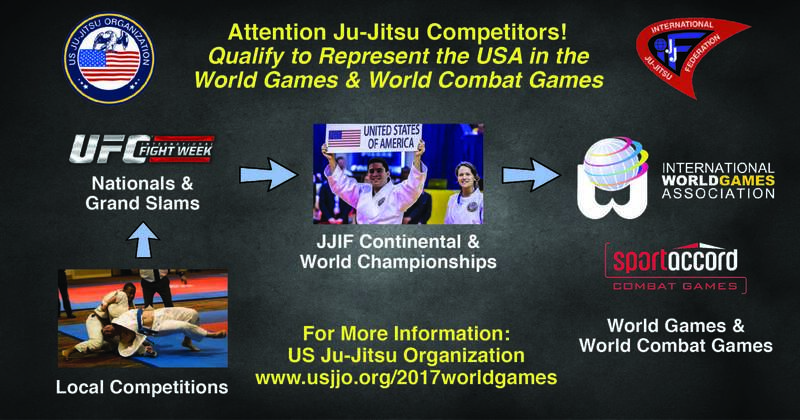 The JJIF represents Sports Ju-Jitsu worldwide and is the only Ju-Jitsu organization recognized by the General Association of International Sports Federations (GAISF) and the International World Games Association (IWGA). The JJIF provides the opportunity for elite athletes from their National Members to compete in the World Games, which are organized and governed by the IWGA under the patronage of the International Olympic Committee (IOC). Including the United States of America, the JJIF has 106 member countries on 4 continents. This entry was posted in Home, News on April 1, 2016 by Scott. (Press Release) – March 30, 2016 – Cleveland, Ohio, USA. The United States Ju-Jitsu Organization (USJJO) announced today that Primal Gym, NJ is an official USJJO Regional Training Center. David Elias has been a Team USA World Competitor, Member of the USA Team Development committee of the USJJO and now his school has been named an official Regional Training Center. 2016 JJIF World Championships in Poland. You can visit Primal Gym, NJ at www.primalgymnj.com. You can contact David Elias at dave@primalgymnj.com or call 609-584-8500. This entry was posted in Home, News on March 30, 2016 by Scott. Coaches and competitors need to start competing in events here in 2016 to start accumulating points to get invited to the 2017 International World Games in Poland. Review the competition rules and contact the USJJO for any questions and to apply as a competitor to the upcoming events in the USA, Panama and Poland here in 2016. This entry was posted in Archived News, Home, News on March 29, 2016 by Scott.